Spacious office suite for lease with ample on site parking. Easy to find location ideal for many dental or medical users. This building is also for sale as an owner occupied or traditional investment opportunity. Long standing good synergy among the current tenants. 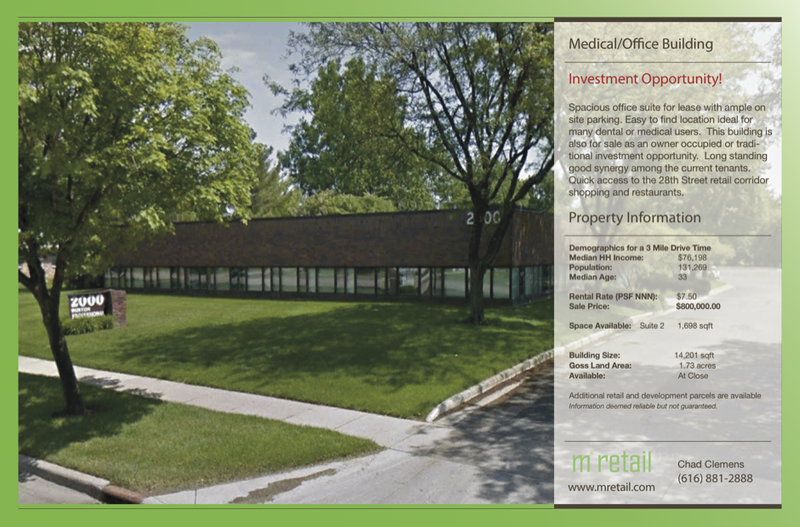 Quick access to the 28th Street retail corridor shopping and restaurants. Click here for a full brochure.